Jurassic World's second weekend ($102 million) managed to beat the debut of Pixar's Inside Out ($91.1) making it the first time in history a Pixar movie didn't debut to a number one spot. However, that's not exactly a bad thing as $91.1 million is huge, and makes Inside Out the second biggest Pixar opening behind Toy Story 3 ($110.3 million). It also marks the highest debut for an original movie, not based off sourced material (previously held by Avatar's $77 million back in 2009). 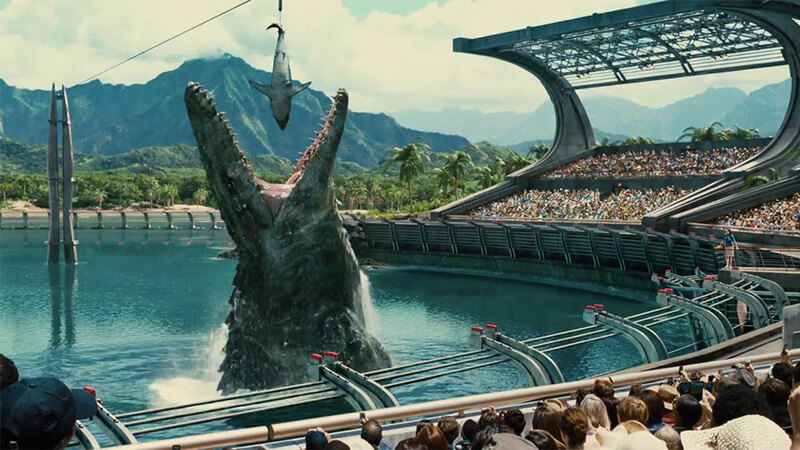 Jurassic World has grossed $583.1 overseas and so far has $981.3 million worldwide. Yep, it has almost grossed $1 billion already, and it may well become the fastest movie to cross that mark. These past two weekends have become the two biggest box office grossing weekends in years... Not sure if next week's release of first namers' Ted and Max will continue that trend.